Richly detailed, this French 18th century frame is a fanciful bouquet of vines, leaves, flowers and grapes. Pierced C-scrolls reveal mirror behind the frame and are echoed in the C-scroll feet. Dominated by warm fruit wood accents, our Versailles finish has worn gold leaf revealed beneath a distressed and crackled layer. 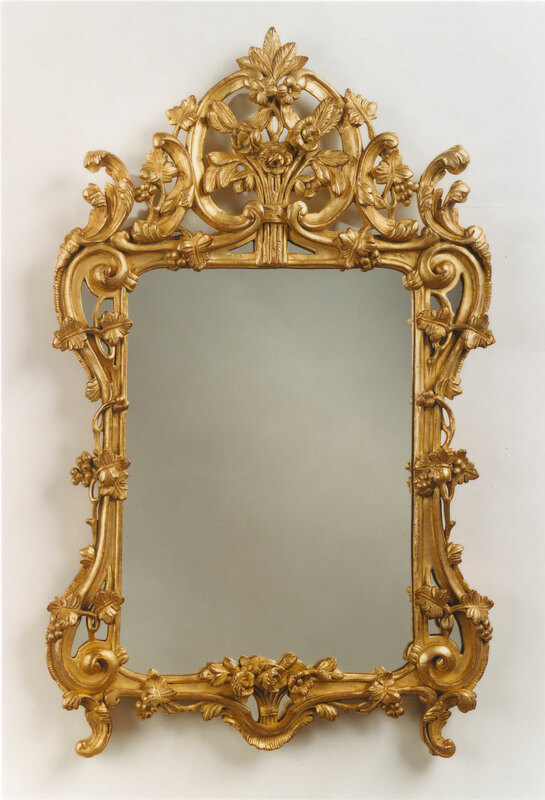 The Belle Jardin is also charming in the antique gold leaf finish as shown.